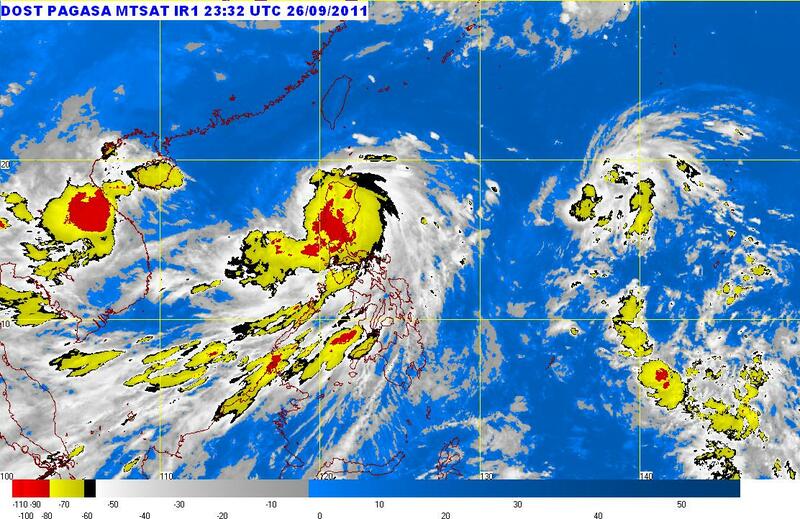 This is the satellite map from PAGASA as of 11:32 PM of September 26, 2011. Several provinces in Luzon are under Storm Signal No. 3. Living in a tropical country facing the largest ocean in the world, this is a regular phenomenon. Every year, about 22 storms hit the Philippines. (This statistics is taken from the deep recesses on my addled brain. Further research needed.) Two years and a day ago, ‘Ondoy’ hit Metro Manila. It caused massive flooding in large area, killed lives, displaced hundred of thousands of people and ruined properties. I remember watching the devastation unfold live on television while I was looking after my father who was gravely ill. I thought about what I would do should it happened to us while my father was bedridden. It would have been a nightmare. I found myself wiping my tears. Two weeks ago, I went to Naga with friends. It was trip booked in February this year. The Peñafrancia in Naga is on the third Saturday of September. June to October is tropical storm season for the Philippines. 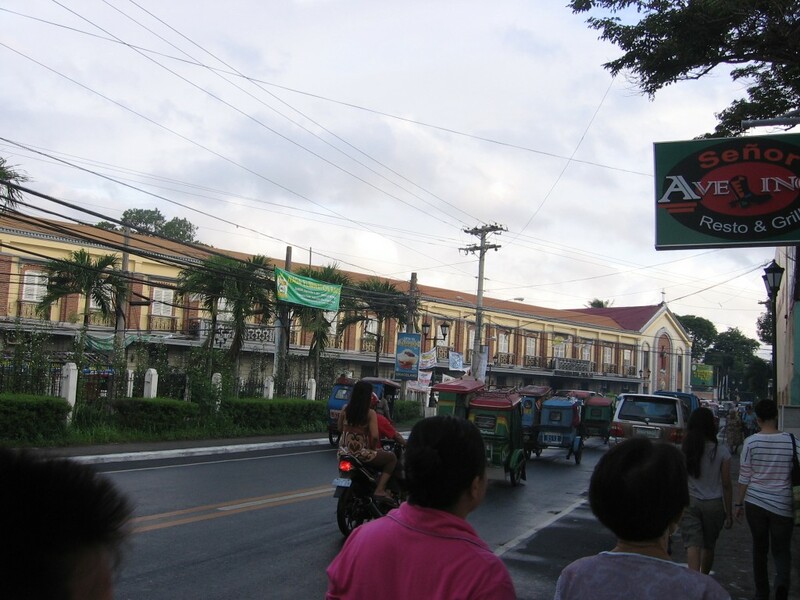 Naga is in the Bicol, a region often hit by typhoon. I cannot control the weather nor postpone Peñafrancia. The best thing to do for me is pray for good weather. 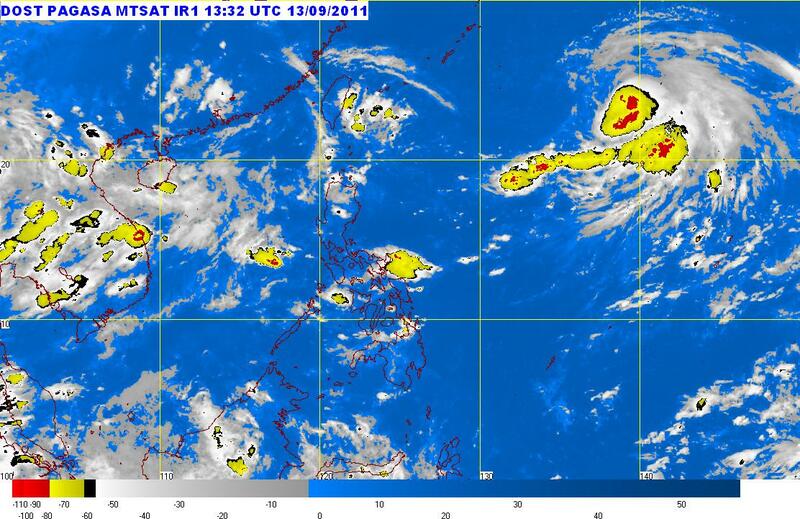 Before we left for Naga, Onyok is in the PAR (Philippine Area of Resposibility). 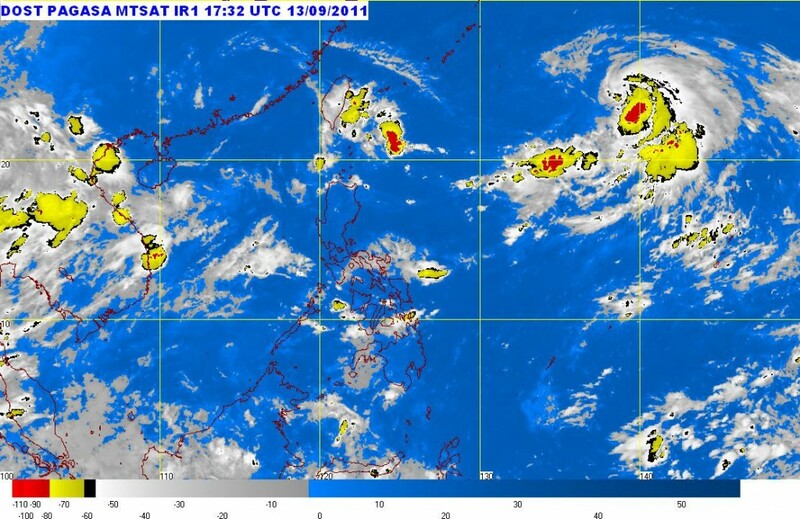 It is only a tropical depression, a category lower that a typhoon. I think it did not make landfall. I was monitoring the PAGASA website. This was the satellite pic on September 13, 2011. It looks like a good weather. 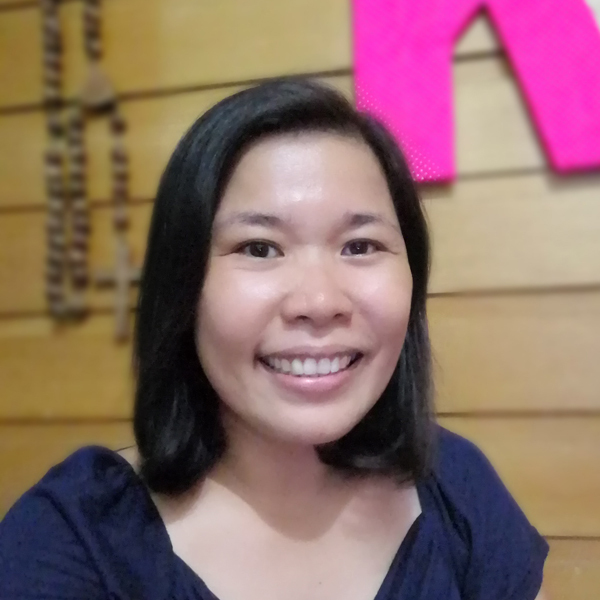 On the day itself, I visited the website before I left for Manila. The weather is also good. This was our conversation whe I told my aunt I was going to Bicol. Aunt: There is a coming storm. Me: It is already in the country. It is on its way out. Aunt: The report on TV said that there will be 4 storms this month . Me: That is based on statistics. June to October is typhoon season. Aunt: So, why did you book that date? Me: September is Peñafrancia. Besides, there are no promo fares for summer months. Remember there was a storm a week before we went to Hong Kong and a week after returned home? Prayers work. God and prayers are often my closing argument with my devout Catholic aunt. It is a discussion-ender. I sincerely believe prayer works. God answers prayers; sometimes the answer is “No”. If God said “No” to my Bicol trip, there are other provinces to explore with my round-trip ticket. I know Butuan-Manila flights seldom get cancelled when a storm hits Luzon. There is Baguio, Pampanga, Laguna, Batangas, Bataan, Cavite and a lot more to explore. 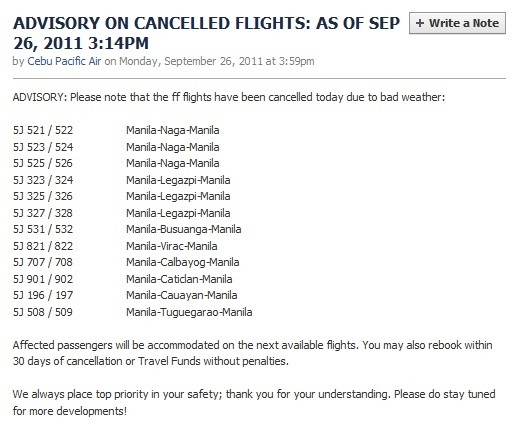 Even with Typhoon Pedring, the cancelled flights yesterday did not include Butuan-Manila. The weather was fine the day we traveled. It rained in the afternoon in Naga. It usually rained in the morning and by the time we go out to explore, the rain disappeared. When I think about it, we were always indoors when it rained. It makes the temperature cooler when exploring outdoors. Thank you, God! This is Naga in the afternoon of September 14, 2011. Streets are wet when It rained a bit. No puddles. Ideal for strolling. 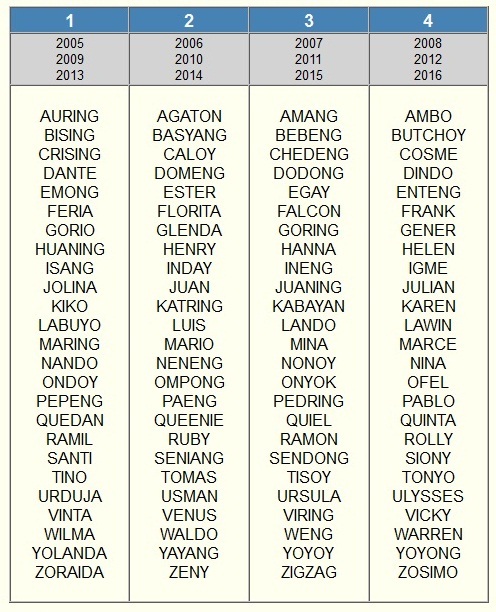 PAGASA lists typhoon names alphabetically. The typhoon names are already chosen until 2016. Typhoon names are reused. The names of the typhoons that were devastating are retired. Thus, we know that Ondoy and Peping in 2009 were 15th and 16th typhoon for that year and those two names will not be used as a typhoon name again. This week’s Pedring is also the 16th typhoon for the year. The complete list is posted here. I’m traveling next month. Thus, I am praying for a typhoon-free country from October 20 to November 1.